Birthday cake on the floor, family members show up late, and restaurant over books the room, birthday child is extra cranky, and the parents have the flu. First birthdays have become a stressful event for parents with many things they just cannot micromanage. The pressure to plan the perfect party with all the trimmings has increased over the years. 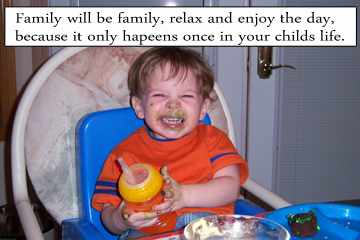 For over 27-years I have been entertaining at 1st birthday parties and have talked with a lot of stressed-out parents. All guests want is good food, drink, and cake. If the décor is cute and the baby is dress adobe, you’re halfway to having a successful birthday party. Don’t let the things you can’t control stress you out. Things you can control don’t micromanage. The purpose of the 1st birthday is to celebrate your child’s 1st year of life. Sit back, relax and enjoy this day. The child only has one 1st birthday and before you know it, their 21. About the Author- Magical Balloon-dude Dale is a professional kids entertainer who has been entertaining at 1st birthday parties for decades and has seen it all. He is now sharing his experiences with his readers.